This summer, the Hub is once again getting an update. ISU Dining is altering the interior layout and renovating the existing seating areas in order to reduce congestion. We who work in Special Collections and University Archives take particular interest in the Hub, since it is so easy for us to glance down from our fourth floor reading room windows in Parks Library to check on our next-door neighbor. The Hub is rather small compared to the large buildings surrounding it, but the humble Hub has a very active 126 year history. Few buildings on campus have had such a wide variety of uses as the Hub. Constructed in 1892, the Hub originally served as the college bookstore, post office, and depot for the small steam railway, affectionately known as the Dinkey, that ran from campus to downtown Ames. Over time, the Hub was moved, added onto, and renovated to fit the needs of a growing campus. The bookstore vacated in 1958 for more spacious environs in the Memorial Union, the post office moved out five years later to a new office in Campustown, and food first came to the Hub in 1959 when vending machines moved into the building. Over the following decades, the Hub would also be home to a copy center, a ticket office, and the University Traffic Office. A dedicated outdoor seating area was added in 1983 signaling the space as a frequent gathering area for students. Even in the last 15 years that I have worked in the Library, I have been witness to several significant changes at the Hub. In 2008, the interior was completely renovated, incorporating a grill and coffee shop and an addition of a north wing for added seating. Six years later the exterior seating area would get a major revamp. The current round of improvements will see the end of vending machines in the Hub after a nearly 60-year run, but food and coffee will still be served at the Hub. Additional information on the history of the Hub may be found in several places in Special Collections and University Archives. The Facilities Planning and Management Buildings and Grounds Files, RS 4/8/4 is a great collection to start with for any research on campus buildings. An excellent book titled The Iowa State University Campus and Its Buildings, 1959-1979, by former University Architect H. Summerfield Day is also an excellent first place to start. The archives also has historic photographs and other files that may be of interest to those looking for information on campus buildings. We would love to see you stop by to start your own research project on the Hub! Here is a #Throwback Thursday photograph of the Parks Library in the winter. This image depicts the entrance facing Morrill Road, which is no longer a working entrance. Parks Library at Iowa State University, undated. (University Photographs, box 258). Today is December 21, Winter Solstice, and currently we do not have any snow on the ground. According to today’s forecast, we are expecting a wintry mix, so stay warm & travel safe everyone! This is the third in a series of posts about the history of the library at Iowa State. Want to catch up? Read the first and second posts! The library has been through many expansions through the 20th century to meet the demands of a growing student population. Iowa State had a new library in 1925, but as quickly as 1930 the collection was too large for the bookshelf space. In 1940, an off-site storage facility was built to handle some of the overflow that had been stored in the Memorial Union and the Engineering Exhibit Hall. While the collection already exceeded the size of the library, there were other pressures put on the library space starting in the mid-century. The university experienced a great period of growth after WWII due to the GI Bill and the Cold War, when the government was eager to fund the scientific research done at Iowa State. This period of growth was exacerbated by the incoming Baby Boom students. All of these factors put great pressure on the amount of study space in the library. To address these issues, the first expansion opened in 1961. The new addition had 5 floors and added 52,000 square feet. One big innovation for this addition was open stacks, allowing students to browse the shelves and pick out books themselves. A glass rotunda was built for the new entrance on the south side of the building complete with staffed circulation desk to make sure materials did not make their way out of the library without being checked out. Even brand new, the expanded library could only accommodate 75% of the 520,000 volume collection and did not contain the amount of study space recommended for the size of the student population. Tellingly, even as they were building the addition, it was referred to as the “First Addition”, which brings us, inevitably, to the Second Addition. In the 1969/70 school year, the library offered 7 courses. There were 4 undergraduate courses, each designed for students in different areas of study: home economics, sciences and humanities, engineering, and agriculture. Additionally, there were 3 courses, each aimed at different groups of graduate students. Be sure to follow the blog to see the library further expand and get a name! 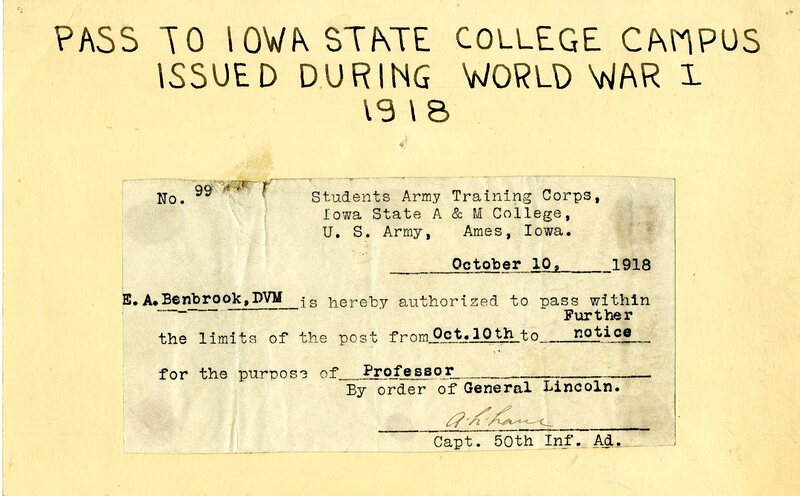 This is a first in a series of posts about the history of the library at Iowa State. To kick off this series of posts about the history of the library at Iowa State, we’re going to take a look way back to nearly the founding of Iowa State University. Starting in 1868, the library was housed in Old Main. As Old Main held the entire college, it had a lot of functions including classrooms, museums, a chapel, dining halls, and housing for both faculty and students (to learn more about Old Main, visit our online exhibit). In 1880, the library had 6,000 volumes and was open from 2 pm to 9 pm. The library was run by students in the earliest days until 1876 when some professors were tasked with the double duty of scholarship and running the library. “From this time  the position was added to that of women teachers in mathematics, modern language, or elocution” (pg 80, The History of Iowa State College by Earle Dudley Ross). In 1891, the library was moved to Morrill Hall, which was designed to house the library and a museum. It was in that same year that library instruction at ISU began. Freshmen took a 1 credit course during the second term titled “Library Work.” In 1893, the library had 10,200 volumes and was open from 8-9:30, closing over the noon and dinner hours. Morrill Hall was the home of the library for just 23 years, and in 1914, the library was moved to Beardshear Hall, which was deemed to be more fireproof than Morrill. The library quickly outgrew all of the buildings it occupied, so plans were laid for the library to have a permanent home of its own that could hold all of the volumes in one place. There are many places in the archives to learn about the history of the library and other buildings on campus. A good place to start is the online exhibit From Prairie Sod to Campus Cornerstones: Building Our Campus History or the reference books found in the reading room. You can also check out some quick facts from the library’s website. 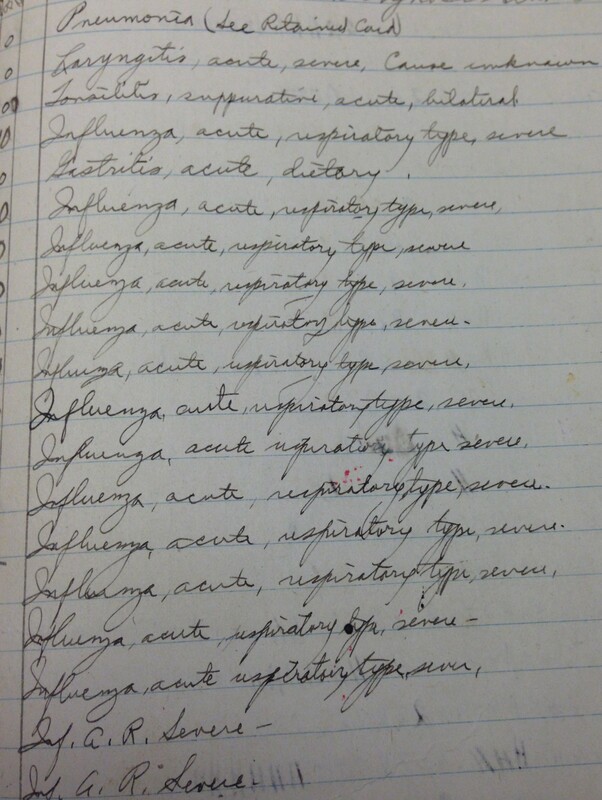 To dive a little deeper, look through our finding aids and records in RS 4/8/4. Winter is officially here! Whether you love it or hate it, you have to admit that the snow can be quite beautiful. This photo provides just one example. Behind the snow-frosted trees are two buildings – the English Office Building (home of the President’s Office) on the left and Old Main on the right. The English Office Building was located roughly where Carver Hall now stands. If you want to see a great view of wintry campus while staying out of the elements, stop by our reading room! While you’re here, you can take a look materials from any of our great collections. Stay warm out there! CyPix: Call the Fire Brigade! This week is Fire Prevention Week. On campus, we have had a few fires over the years, most famously those of Old Main (yes, there was more than one fire in that building). After the first fire in 1900, it was repaired. However, a second fire struck in 1902 that completely destroyed the building. Beardshear Hall was built in Old Main’s place in 1908, and remains there to this day. The photo below shows Old Main on fire in 1900. The circular marks on the photo look to be water damage-related, but I like this version of the photo (there is another in our collections) because not only is the writing much more readable, but the shadowy image of a man in a hat is much more visible here. Most likely it’s a man looking on and the light from the fire created the strange appearance in the photo, but of course my first thought was “ghost.” The most important feature of the image, of course, is the blaze that destroyed the north wing of Old Main. After the building was completed, it was discovered that the building plans contained no provision for water, lighting, heat, or drainage. Poor Old Main was doomed from the beginning. To prevent something like this from happening to your property, a list of safety tip sheets are provided online by the National Fire Protection Association. Stay safe!